Can we get a drumroll? 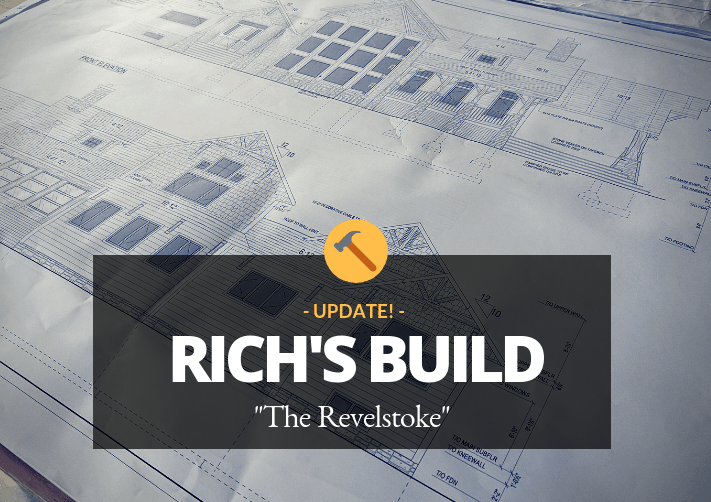 It’s been a while since we’ve updated you on the home-building progress of our own Vice President of Sales, Rich Kinsman. But during our radio silence, lots has happened and we’d love to share where he’s at. Rich’s new home is well underway. The roof is on, the windows and doors are in, and the walls are up. The only thing left to do is install the interior finishes … then onto the big reveal! 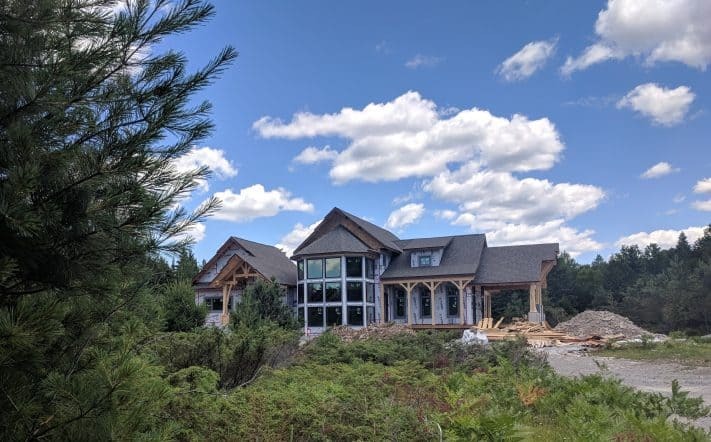 Deciding between a log home and a timber frame home is a big and exciting decision. Both are gorgeous, both have all the warmth and drama of handcrafted wood, but they’re different homes. There’s nothing like coming to Confederation for a personal tour to see our production facility and tour our model home. If you’re serious about a timber frame home, seeing Rich’s home may help you decide and can be arranged as part of the tour. Which got us thinking a little more. Why not chat with Rich about the log vs. timber debate and help spread some light on the topic? Log homes vs timber homes. It reads like the marquees on fight night, and that’s fitting, really, with all the passionate opinions on both sides of the debate. 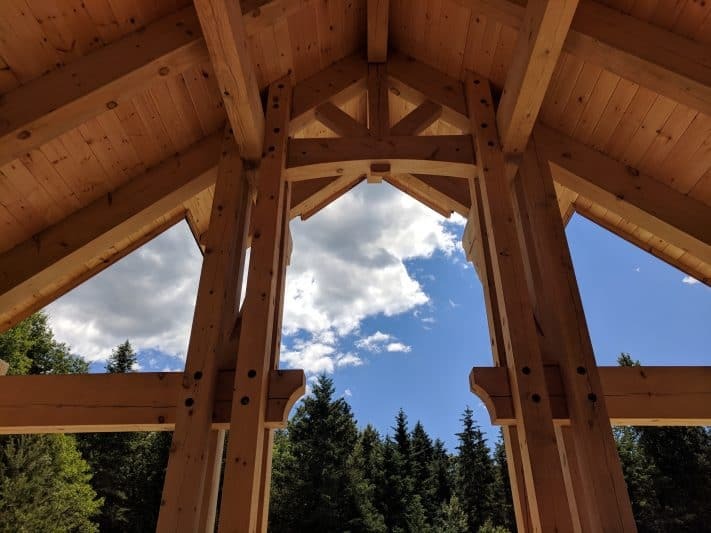 Log home purists – and vice versa with timber home fanatics – will tell you why their material of choice and method of construction is the best. We’re going to let you in on a little secret. Most everything you’ve heard in the log homes vs timber homes debate isn’t actually true. It’s our guess most of these misconceptions were either true once upon a time or were propagated by log and timber home companies who work exclusively with one product or the other and are eager to push their product as the best product. But we aren’t here to sell you on one or the other. Since we’ve got no dog in this fight (or, more accurately, both dogs are ours), our goal is to share just the facts, ma’am, so you are free to make the best decision for you and your family. Myth: Log home interiors have “too much” wood inside; so a timber frame is a better choice. Myth: It’s easier to run electrical in a timber home than a log home. 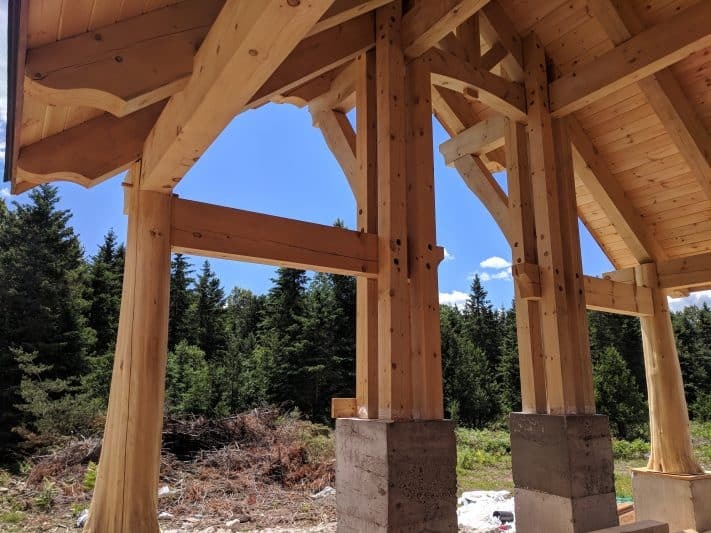 Reality: We pre-drill all of our log walls for electrical wire passages and outlet and switch boxes, so installing electrical in a Confederation log home is as straightforward as conventional framing. Myth: Log walls have better insulating abilities. 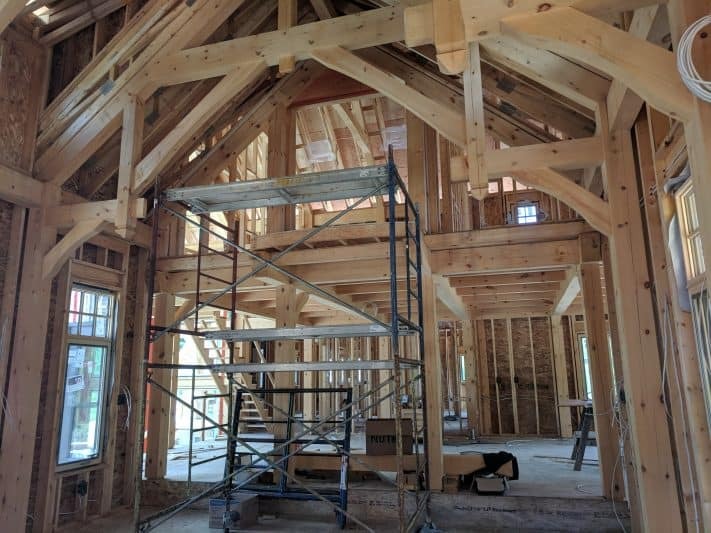 Reality: Whether you opt for a timber frame with SIP panels or traditional framing with deeper insulation cavities, a timber frame home can be just as energy-efficient as a log home. 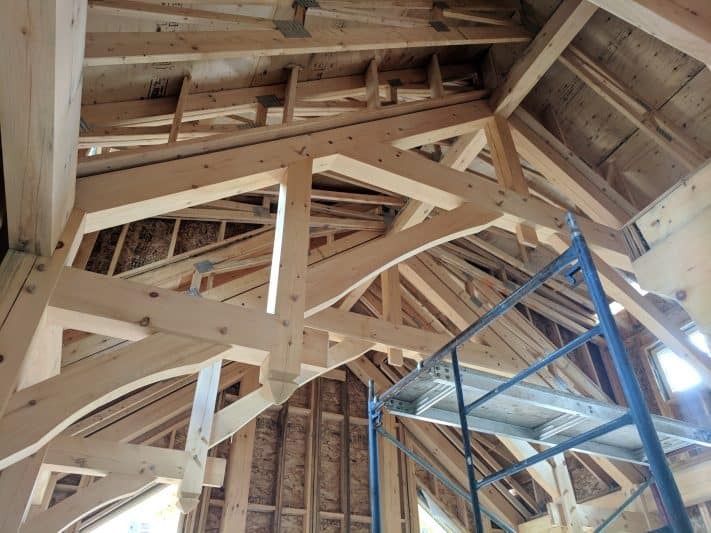 Myth: I like the look of trusses and decorative wood elements … so a log home is out. When you imagine driving up to your home, is it logs you see? Go with a log home. Or maybe you envision cedar shingles … or board and batten, stone, stucco or brick. Go with a timber home. And, rest assured, whichever one you pick, you can’t go wrong. To know which type of home is right for you, all you need to do is settle on the look you love. (Of course, we think both are pretty darn good looking so that may be a little harder than it sounds.) After you’ve explored Rich’s new home, peruse our gallery of homes to see whether the look of log or timber strikes a note with you.